We understood when Diddy cropped Kendall and Kylie Jenner out of his Met Gala photo, but his latest savage antic has us in tears. 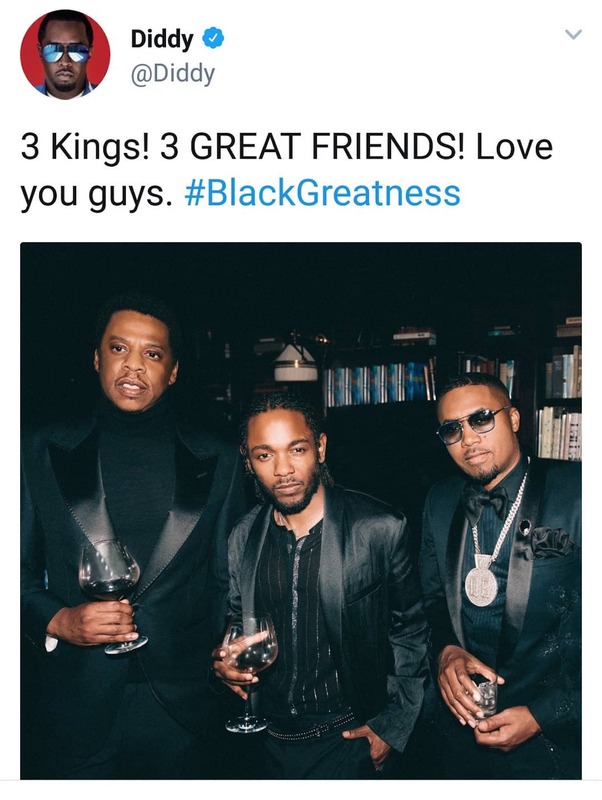 The photo the rap mogul posted included Jay Z, Kendrick Lamar, and Nas. But the REAL photo was posted to French Montana’s Instagram. Diddy really erased French’s entire existence and cropped out Fab LOL. French and DJ K are always mugging somewhere and their only claim to fame is that they been around BM and BW. Diddy needs to erase his own existence, and come clean about his biggy hit. French has no business in the industry and he’s an other. I am just reaching here, but do you have a problem with Mexicans? ? ? i thought his wife was black. all the pics i have seen were of a black woman. I think he’s married to Emily Bustamante who’s PR (I doubt a black PR) and Dominican (I doubt a black Dominican). He could have kept Fab. lol. Diddy and French must have broken up. LOL! I was thinking the same thing! Did Diddy and French break up… lol and he mad cuz Fab won’t let him hit! 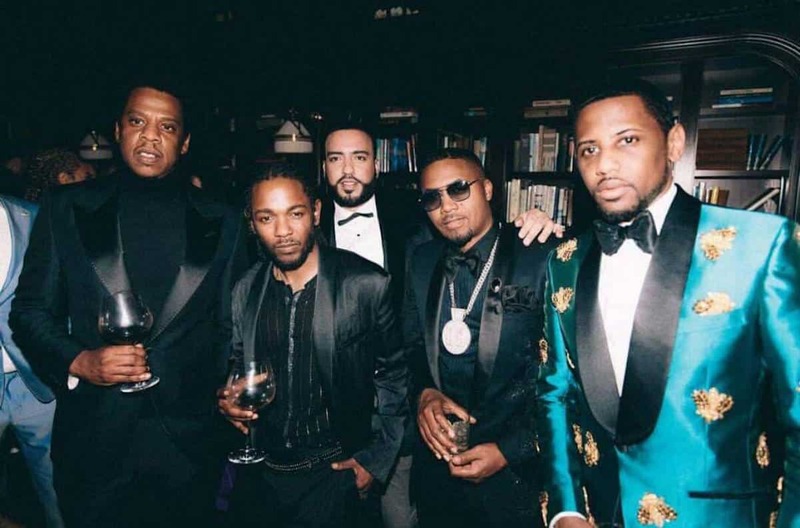 Fab is dope (10x the emcee Kendrick is), but he’s not a “king” right now.